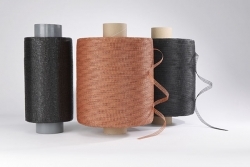 Milliken, a manufacturer of reinforcement fabrics and process aids, is presenting ready-to-use MilliCap cap ply strips, bias chafer and aqueous high-tack bead wrap. 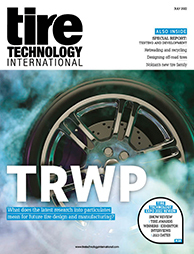 These products can go directly from the receiving dock to the tire building machine, and promise to reduce tire weight and rolling resistance while also simplifying the tire construction process. For process liners, Milliken offers the industry a broad range of liners engineered to meet and exceed requirements for release, wrinkle resistance, flexibility or stiffness, and durability. The Tegris profile liners with separator strips protect heavy profiled parts, prevent wrinkles and offer long service life. On request, these liners can also be customised by adding leaders and identification options.